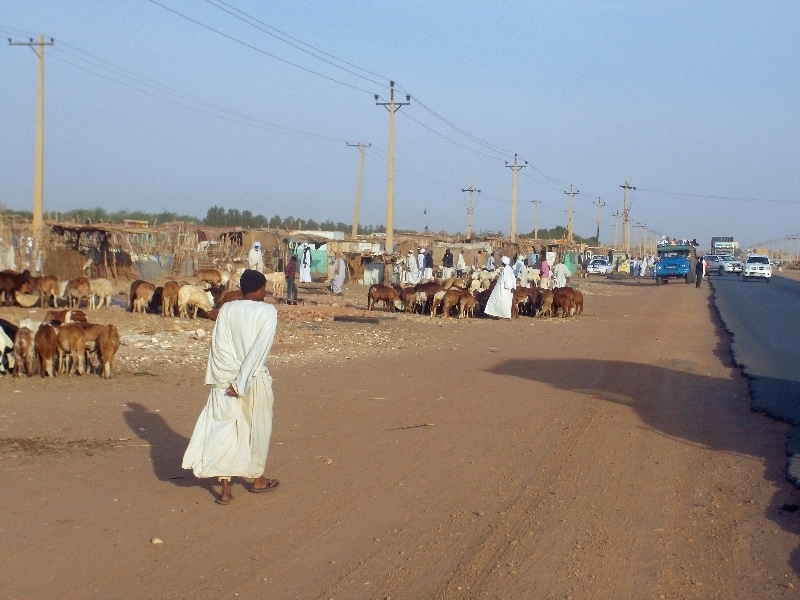 This part of Sudan is more agricultural than what we’ve seen before. We passed many plowed fields, some irrigated fields and even some crops like corn and saw center pivot sprinkler. Also this area has more trees than more desert areas further north. We left the hotel this morning. The group isn’t too fond of the “convoy” though it turned out that a large mob of us still cycled together somewhat slowly until we got past tricky directions out of town. After this point we passed through an area with much livestock: goats, camels, almost a livestock market or clearing place of sorts. I stopped here briefly at 15km. After this the route became rural, though also through town and agricultural areas. 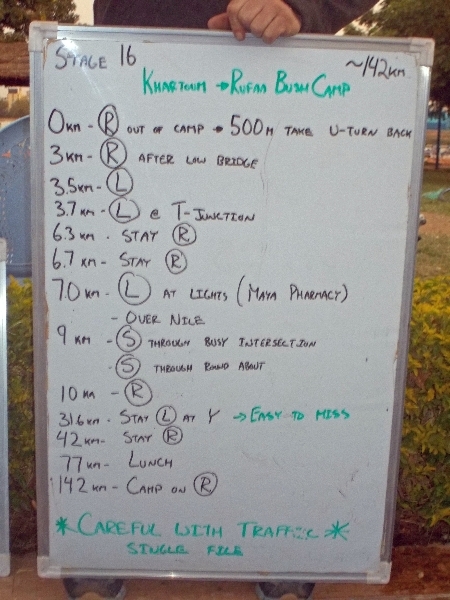 At 30km we had one turn and 40km another. 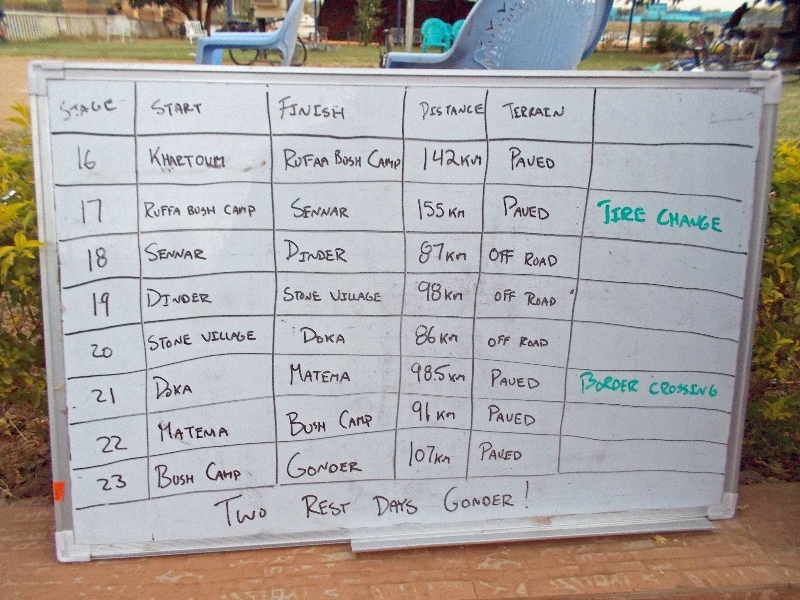 Winds were mostly from the north but as we turned eastwards we also got more crosswinds and tougher riding. After lunch, warm again. The road traffic gradually became a bit less. Even more intriguing this was among first part with painted center stripe on the road. 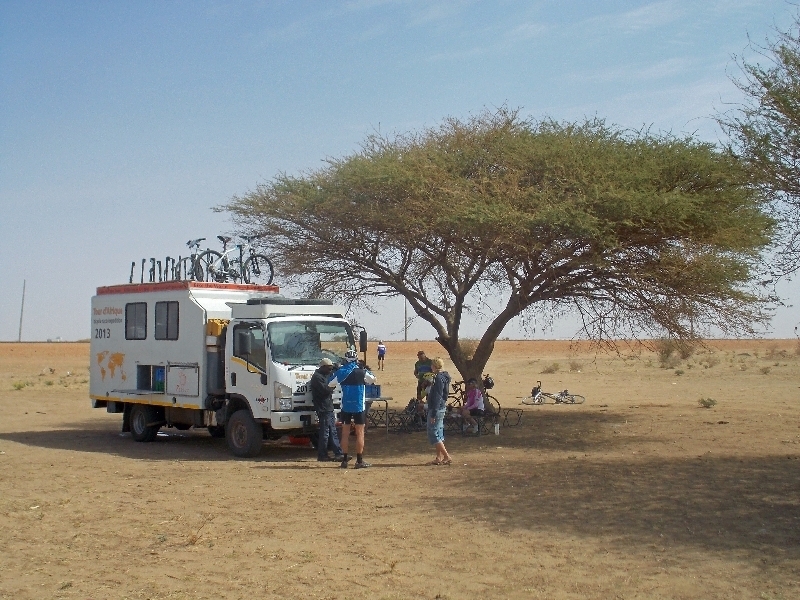 It was warm enough for coke stop at 112km and then pushed the last distance to camp. Tonight we took extra care in locking bikes together in a big corral. 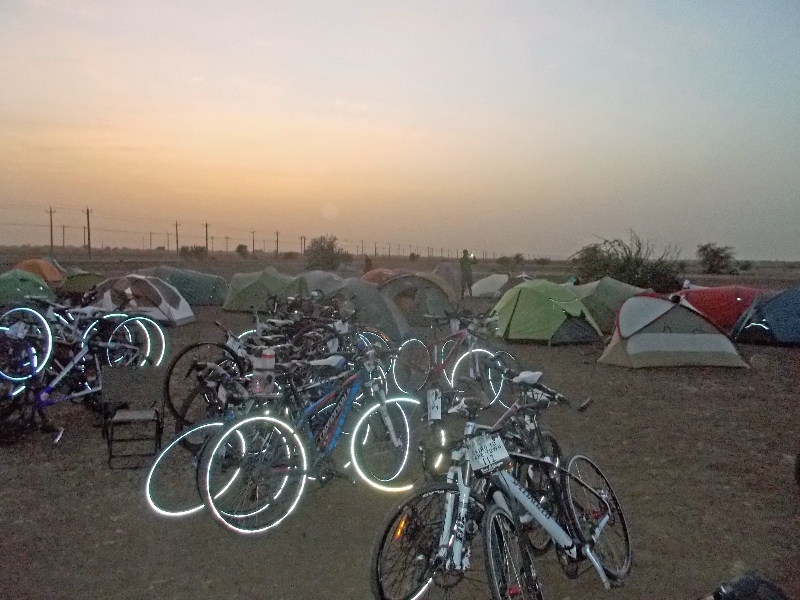 Apparently, last year two bikes had been stolen at this camp, so wanted to be extra careful.